Lexington, Mass.—March 24, 2015—Imprivata® (NYSE: IMPR), the healthcare IT security company, today announced that it has won Healthcare Informatics Leading Edge Award for clinical workflow improvement. Imprivata OneSign®, the company’s leading authentication and access management solution, is used by more than 1,200 healthcare organizations globally to deliver fast, secure access to EHRs, virtual desktops, and other clinical applications, saving care providers up to 45 minutes per shift. 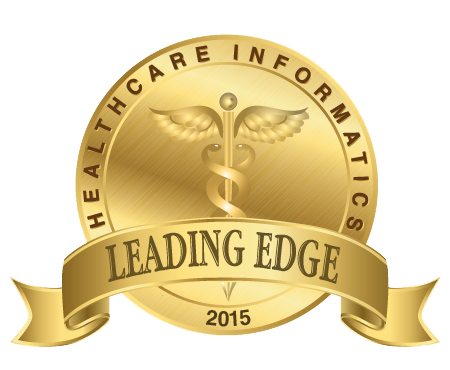 The Healthcare Informatics Leading Edge Awards recognize healthcare IT vendor companies in the categories of clinician workflow improvement, interoperability, and cost savings. Imprivata OneSign improves clinical workflow efficiency and increases provider productivity by eliminating cumbersome manual login processes and enabling fast, secure access to clinical applications and patient record. Imprivata OneSign also integrates with leading virtualization platforms as well as thin and zero clients, combining desktop virtualization, single sign-on (SSO), and strong authentication into a powerful solution that delivers secure, instant roaming access to customized desktops and patient information at the point of care. Imprivata will showcase Imprivata OneSign as well as its other leading products for improving clinical workflows in booth #3848 at the HIMSS15 Annual Conference & Exhibition (April 12-16, 2015 in Chicago). To book a meeting with Imprivata at HIMSS15, please visit: http://www.imprivata.com/himss15.